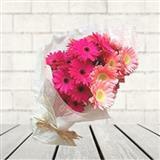 This flower arrangement has been named so because it comprises of 4 Pink Anthoriums and 6 Pink Gerberas. 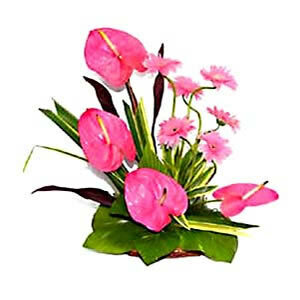 Its beauty is further enhanced by the green foliage that comes with it. 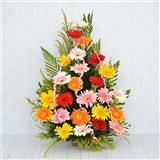 Your dear ones in all cities in India will surely love this colorful bunch of flowers. 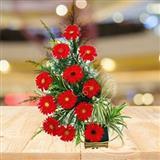 Surprise your loved ones by sending this flowers on the first stroke of Midnight. 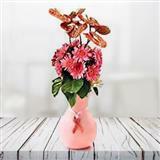 You can also send other Gifts across India along with this flowers through GiftsAcrossIndia.com. Please Note: The picture is indicative. 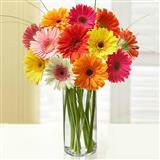 The arrangement might vary at the time of delivery.